converted to long-lasting DVD’s or convenient thumb drives. Just8mm is the nation's largest company specializing in Super 8 and 8mm film transfers to DVD and digital, which were widely used to capture memories from the 1930s through the 1980s. 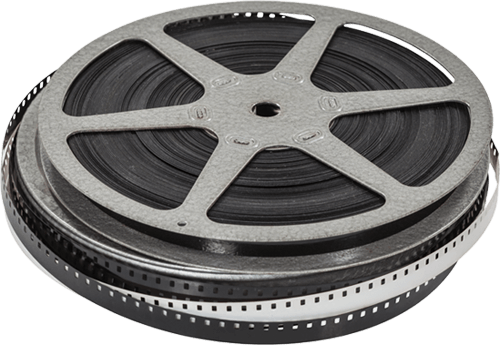 We can preserve the special moments from your movie film by converting your 8mm and Super 8 to a digital format on DVD, and as digital files on a USB hard drive. We invite you to browse our site and see how Just8mm can serve you! Have videotapes and not film reels? No problem! Convert your 8mm and Super 8 movies to long-lasting DVD's or digital files! Complete and print order form. Sort and label your movies. Package and ship your film. We process and ship in about 6 business days. Enjoy your DVD's or digital files! Quality - We use the 8mm film transfer method giving the MOST ACCURATE replication of motion, color and clarity. Experience - Since 2002, we have transferred over 79 MILLION feet of 8mm and Super 8 film. Price - Our pricing is among the lowest in the industry and you pay for only what you actually have, unlike those "fill a box" companies. Speed - 6 BUSINESS DAYS from the time we receive your order until we ship it out. Backup - We archive all orders and access these files only at the request of the customer for additional copies in the future. BBB Accredited - We are rated A+ and have been awarded 11 Gold Star Awards. "Hello, I got my DVDs back and wanted to tell you how pleased I am with them. These films are almost 50 years old and were never stored properly as they should have been. I cannot believe how good they still looked. This film is footage of the first time the National Park Service decided to patrol the Colorado River at the bottom of Grand Canyon. I had recently been contact by the Grand Canyon Historical Association for information about my being part of that boat crew. When I told them that I had these films they became very excited. I told them I would have them transferred and bring them to my first interview with them. I believe they will be happy with them. I’ve got a lot of old family films that I’d like to have transferred. Just to let you know, I’ll be sending them to you for transfer. I’m a very satisfied customer. Thanks for the good work." What if I lose my new DVD or files? Just8mm.com archives all of your 8mm film transfer footage at no extra charge, and this provides an extra layer of protection in case you lose or break your DVD, or just want additional copies or digital files later. You’ll have extra security and peace of mind, as you know your precious memories will be protected and preserved when you choose Just8mm.com for your 8mm film transfers.